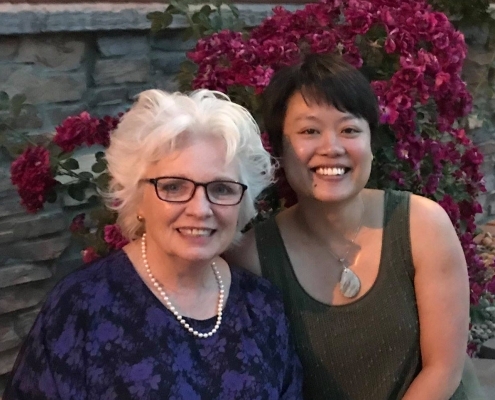 Akashic Records Beginning Practitioner Certification: May 2019 ⋆ Soul Workings, Inc. Classes with Amy are always wonderful. She creates a space which invites wisdom, connection, and laughter into your day. Amy’s classes are amazing. Not only do you learn a lot but her patience and compassion and making sure you understand before you walk out her door is unparalleled! I am already doing readings and feeling so good about the results my clients are getting! I started out wanting intensely to do readings but not believing I could. And my confidence is growing daily! But it all started with an Akashic Record Reading from her. And not only was that encouraging, but it helped me to understand my path in life and know where I needed to change course and what I was meant to do. It was beautiful and affirming!! Amy is a calm and welcoming person, her energy is warm and comforting. My experience was very positive…it’s something that is hard to describe with words. She is an excellent teacher and practitioner. I highly recommend her! I just finished taking the Advanced Practitioner training with Amy, and I can say that she is a great teacher. Very organized and thorough in her approach to the material. I feel that she creates a safe space for learning and practicing while making it fun at the same time. If you are at all interested in Akashic Records, her classes make them very accessible. The word “Akasha” is a Sanskrit word that means “primary substance,” the first of the five elements from which Universe is composed. The Akashic Records is an energetic library that holds information pertaining to each Soul’s journey throughout time. There are references made to the Akashic Records in many of the major spiritual/religious traditions on this planet. Gaining access to your own Akashic Records provides an unlimited loving and compassionate resource for growth, peace and healing. How are the Records accessed? Throughout time, there have been various ways to access the Records. Historically, only people who devoted decades of rigorous spiritual training could access the Records. Edgar Cayce was a well-known mystic who accessed the Records while in a trance. 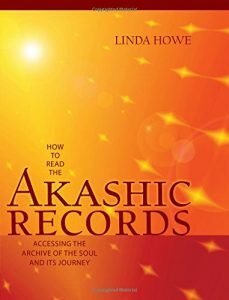 We have finally reached a critical point in humanity’s development in which the Akashic Records are now being made accessible to anyone who is interested in developing a conscious relationship with their Soul. In this class, you will be taught how to access the Akashic Records using the the Pathway Prayer Process©. Dr. Linda Howe is the originator of this sacred prayer. This prayer is unique in that it offers a conscious, reliable, and responsible way to work in the Records. This class is for you if you have been on a path of self discovery and healing, and want to explore the Records to deepen your spiritual practice. Artists, musicians and writers may find expanded inspiration and creativity when working within the Records while applying their craft. Professionals assisting others in their healing journey may also find this work to be valuable: psychologists, body workers, energy healing practitioners, acupuncturists, etc. Having an Akashic Records practice can deepen and enliven your own growth, which is bound to be reflected in your professional work. This class will provide you with the knowledge and skills to do readings for others and can be integrated into an existing professional practice if so desired. No prior experience necessary, just an open mind and adventurous heart! – What are the Akashic Records? – Intuition vs. Akashic Records. – Other uses of the Akashic Records: homes/buildings, pets, crystals, etc. Read the book “How to Read the Akashic Records,” by Dr. Linda Howe, or listen to the audio version of the same title prior to the first day of class. Full participation and attendance for all class sessions will result in Practitioner certification, recognized by the Linda Howe Center for Akashic Studies. Appropriate for adults 18 years and older. Please, no alcohol or recreational substances 24 hours leading up to, and during class. Prescribed medication is fine. Cancellations by students at least 7 days the first day of class will result in 100% refund minus non-refundable deposit ($100); refunds, credits and transfers are not available for cancellations or missed classes thereafter. Please consider this carefully before proceeding with your registration. Soul Workings reserves the right to cancel a class in the event of inclement weather or low enrollment. If a class is canceled by Soul Workings, students will be given tuition credit equal to the amount paid, minus any processing fees, valid for up to 12 months. No refunds will be given.